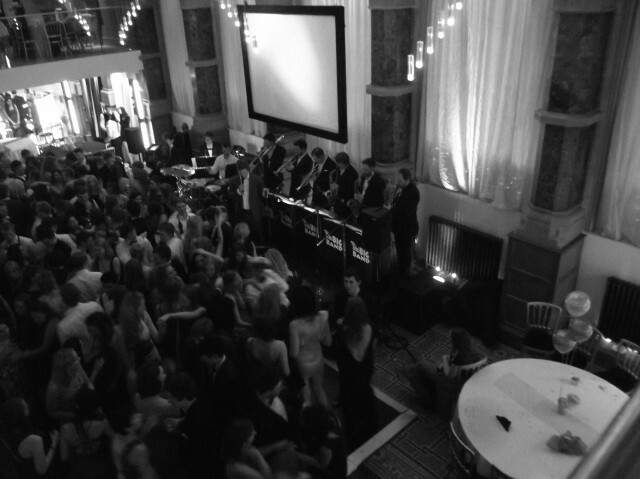 The band in full swing in Leeds. 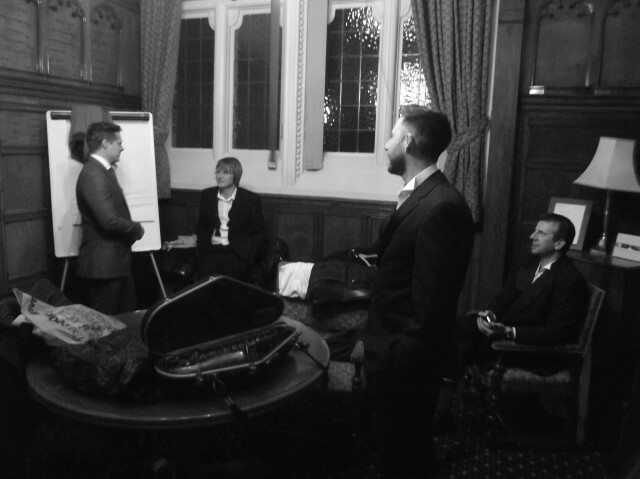 Behind the scene photos, the band getting ready to swing. The lads taking it easy before the Leeds university medical students ball. "Hi Chris, Thank you SO much for such a great night, so many guests commented on how super you were! What an amazingly talented lot you are and thank you for going the extra mile helping with announcements etc. We just couldn’t have been happier… I’m glad you were looked after as I’m sure you picked up I was in another world!! "